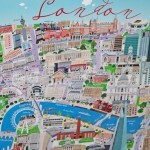 From museums, the theatre, shopping and dining, London really, truly does have it all. I am by no means an expert. There are lots of places to visit, and things to do that I haven’t even tried. But, there are things that if you have the chance, you should really do on a beautiful London day. Take in a museum. Whether is be the science, natural history or an art museum, a trip to London should involve at least one. My personal favourite is the Royal Academy of Arts. 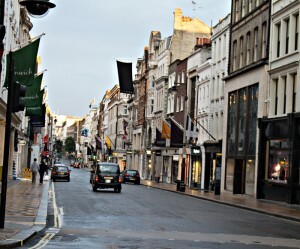 It’s location is ideal, right in Piccadilly Circus and it’s Summer Exhibition is a must see if visiting June – August. Have afternoon tea. Really, you must. 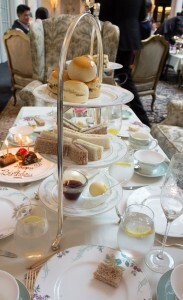 No one does tea better than the British and there is an afternoon tea for every taste and every budget. An afternoon in one of the Royal Parks. Take a picnic lunch, rent a lounge chair and just watch it all happen. If travelling with kids, make sure to take some time at the Diana, Princess of Wales Memorial Playground in Kensington Gardens; a beautiful playground perfect for an afternoon in the park with the family. Eat. And not just at a pub. London has some incredible food options (I’ve had the best Chinese Food at Princess Gardens in Mayfair), that trying something new is half the fun. But, still do go to the pubs. 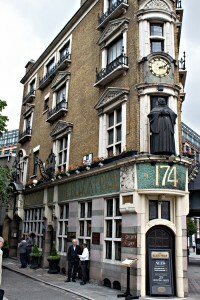 If you are up for an adventure, visit The Black Friars pub near St. Paul’s Cathedral. Make sure to get a reservation as the interior is amazing (but rather small). 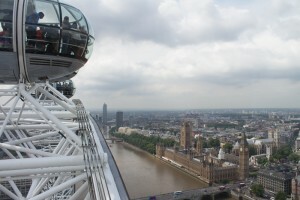 Visit the London Eye. I know, it is a bit touristy, but honestly, worth at least one visit. A ride during the day gives sweeping views of the city and an evening ride is even more spectacular with the city all lit up. Try Champagne and Oysters at the Selfridges food hall. A wonderful end to a full shopping day. Take a walk. Even better if it’s just after a light rain fall. 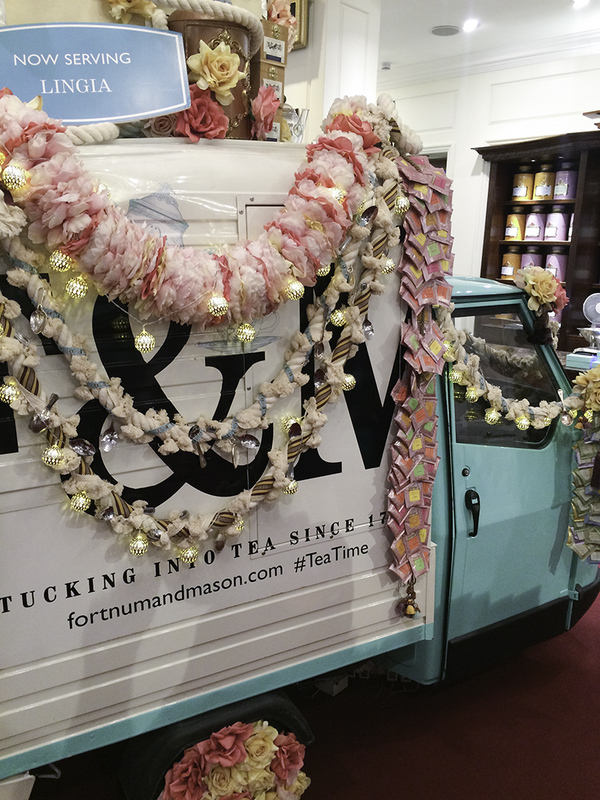 Take a browse through Fortnum & Mason. 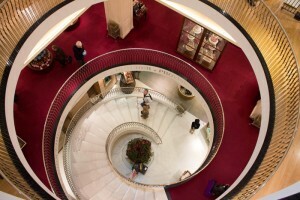 It’s an iconic British store and brand, and it’s delightful to browse and maybe stay for lunch. Grab a sundae at the Ice Cream Parlour in Harrod’s, located on the 2nd level amongst the busy food area. 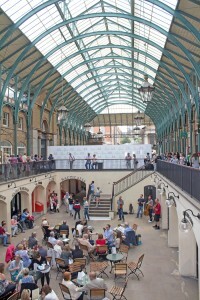 Catch an impromptu show at Covent Garden. Meander through the cobbled streets and browse through shops, visit artisans, eat and catch some live entertainment. You could spend a whole afternoon there. 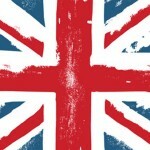 London is a remarkable city full of history and culture, good food and great shopping. Looking for something a little more detailed? Get in touch and we can create an itinerary specific for you. A visit to The Black Friars pub will leave you in awe of the amazing carved interior. Take a walk through the London streets.